Would you trust those tiny propellers with your $1000 iPhone? Drone photography has taken off big time the last two years, but if you haven’t been able to afford on of DJI‘s incredible drones, don’t worry, pretty soon your iPhone could have the powers of flight. One brilliant tech-modder managed to attach battery-powered propellers to his iPhone case making it the ultimate selfie-machine. Of course, this could totally be a fake. Those tiny propellers don’t seem like they’d be able to support an iPhone for long, if at all. We can’t find any other information about the iPhone drone or its creator. 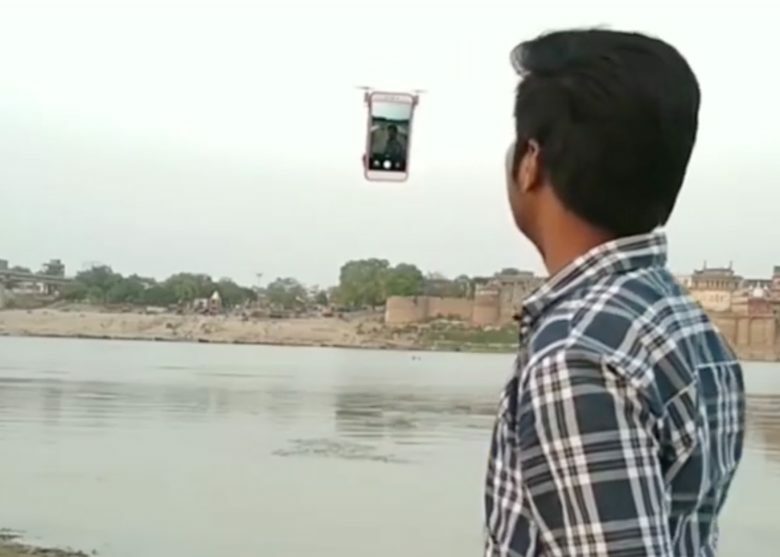 It’s a pretty neat idea, though it’d probably end in the death of countless iPhones that fall from the sky. If I don’t see flying iPhone cases at CES 2019 I’ll eat my iPhone.